There is a pattern in the murders of Dabholkar, Pansare and Kalburgi. Though there are some differences in the broad range of field of their social engagement, the similarity is very striking. The killing of Professor Maleeshappa Madhivallapa Kalburgi on 30th August 2015 came as a severe jolt to all those who are for an open, liberal society, who uphold the values of reason and are against blind faith. 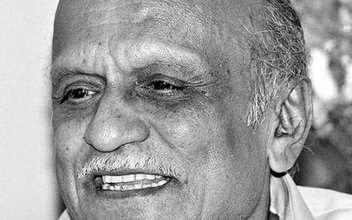 Prof. Kalburgi was a renowned scholar with over 100 books to his credit. He had brought to fore the ideology of Basavanna; the 12th Century poet saint of Kannada; and had supported the idea that Lingyats, the followers of Basavanna be given the status of religious minorities as they do not belong to the Vedic tradition. His study of Vachanas, the teachings contained in the verses of Basavanna, was a profound contribution to the rational though. After the murder of Kalburgi one Bajrang Dal activist Bhuvith Shetty tweeted, ***”Then it was UR Ananthamurthy and now MM Kalburgi. Mock Hinduism and die dogs (sic.) death. And dear KS Bhagwan you are next” . *** This tweet was later withdrawn. Also many a person’s related to Hindu right wing organizations started saying that Kalburgi had insulted Hindu gods, so anger among Hindus and so such murders. This is a subtle justification of the intolerance which our society is being gripped with. As such the attitude of communal elements in different religions is very similar. One recalls the threat to Salman Rushdie, the type of intolerance shown to Taslima Nasreen and the murder of bloggers in Bangla Desh and also murder of Salman Taseer in Pakistan. Taseer had stood in defense of a Christian woman who was accused of blasphemy. On the other hand there has been a tremendous opposition to these brutal acts. The social groups upholding pluralism and rationalism have been agitating against these murders and the ideology of those involved in these killings. Opposition of sections of society to the murders of Daholkar, Pansare and Kalburgi shows that there are still large numbers of people who are willing to uphold rational values and that gives a ray of hope for the times to come. In last couple of years after the murder of Dabholkar, various social groups have been coming together with a determination not only to oppose the intolerant conservative aggressive right wing politics, but also to take up the unfinished task of these slain pioneers committed to social change.